Handmade paper vessel, made from abaca and cotton pulp. 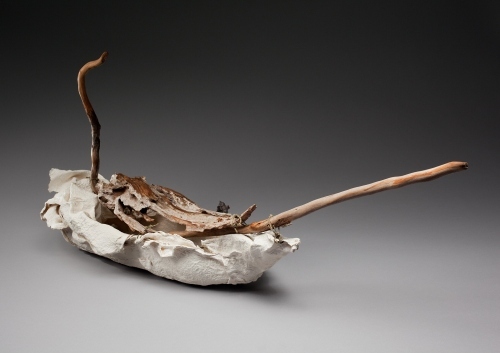 The hull is sculpted in soft clay and cast in plaster gauze. The paper is formed over the gauze shell. 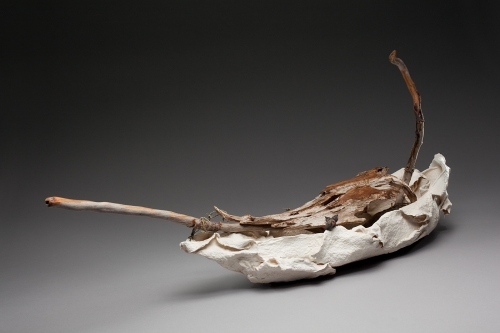 Driftwood found on the shores of Lake Ontario is used on the vessel.